Hey all! 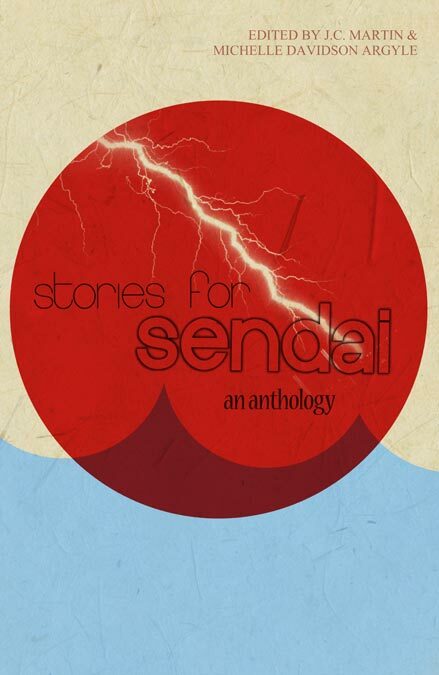 Today I’m hosting my friend Michelle and the “Stories for Sendai” anthology she co-edited as it’s taken around the blog-world on tour to spread the word. The stories that poured out of Japan (and continue to come) are heartbreaking enough without adding in worry about family or friends. I know I was barely affected by this aspect while so many were on edge for days, and perhaps still are, with worry over family or friends. One of the largest earthquakes ever recorded hit the city of Sendai in the Tohoku region of Japan on Friday, March 11. The magnitude 9.0 quake unleashed a deadly tsunami that slammed into Japan’s east coast, leaving a swathe of devastation in its wake. Thousands of people lost their lives, and many are still missing or injured. Thousands more have been left homeless and destitute. Stories for Sendai is available in paperback or Kindle format. You can find a list of the contributing authors and their stories here. You can visit the Stories for Sendai blog here. 1 x First Chapter/Query/Synopsis Critique by Michelle Davidson Argyle! 2 x First Chapter/Query/Synopsis Critiques by J.C. Martin! 1 x e-book copies of Celestial Seduction by Jessica E. Subject, donated by the author! 1 x e-book copy of Middlewitch Mayhem by Heather Parker, donated by the author!